Day 3 – Vicksburg, Mississippi – EHFC Members Talking! We had a really severe storm blow through Vicksburg around midnight last night, high winds, rain and lightning. I went out to the airport this morning and, thankfully, 493 seems to have weathered the storm just fine, other than a little water blown in (note to self – close the air vents when parking). 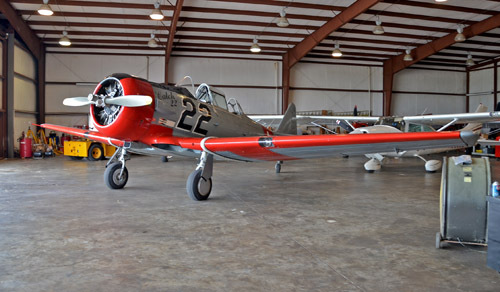 While I was there, I got a personal guided tour of the air museum – it’s a personally owned collection of airplanes ranging from a P51 (which was off flying, unfortunately) to a Husky on floats, along with rooms of memorabilia from local WWII pilots. The guy who took me around loaned me a bucket of water and some windshield polish at the end of my tour, and I soaked off the million bugs who had committed suicide on 493’s windshield yesterday. Then I went over to Vicksburg National Battlefield, took a ranger walk around the Railroad Redoubt and drove the tour route. 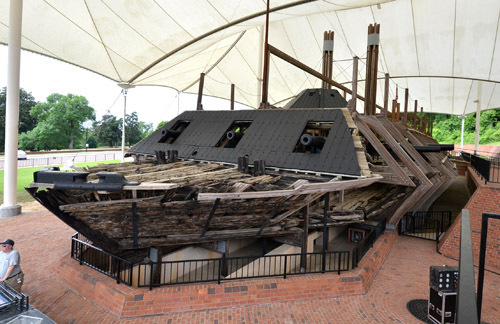 The only surviving river gunboat, the Cairo, is there, preserved under a huge tent. It sunk by hitting a mine in 1862, and was raised in 1963. 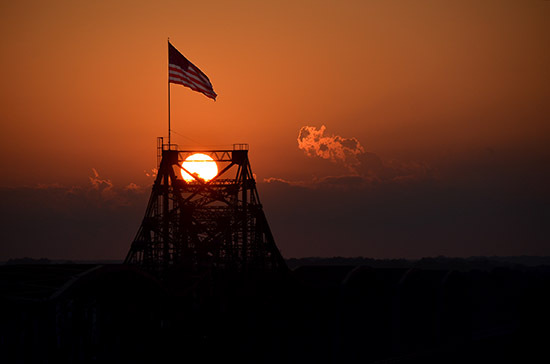 The day ended with a perfect sunset over the Mississippi River Bridge – now to bed, for an early start to Dallas tomorrow morning.